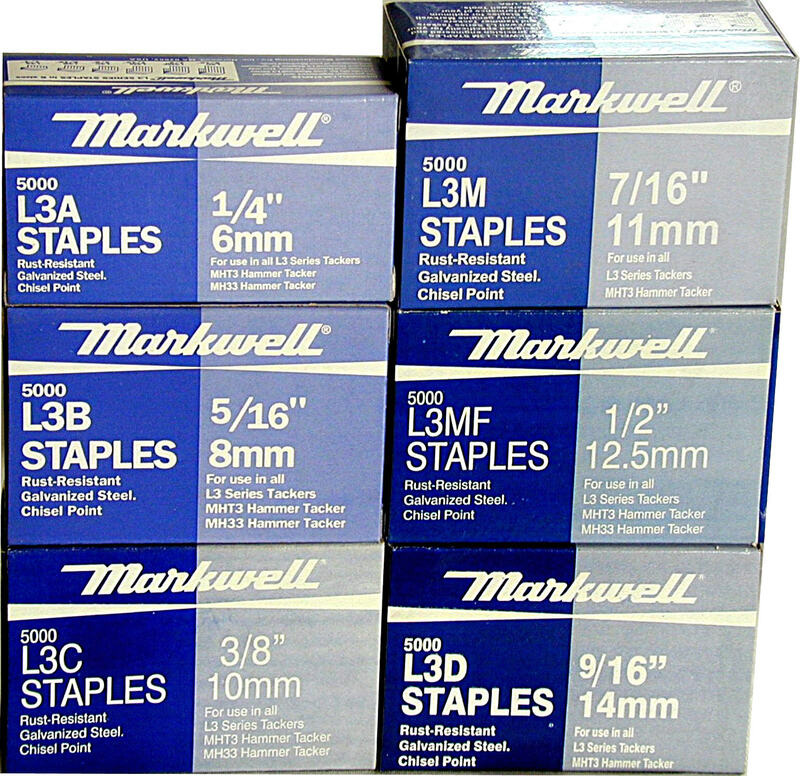 For use in all Markwell L3 tackers, staples are heavy duty 0.050" x 0.020" (1.27 x 0.5 mm), with unique flat crown width approximately 7/16" (11 mm), normally available in galvanized steel wire, chisel point, 5000 per box. Some sizes available in �Quinpacks� of 5 boxes x 1000. Selected sizes also available in aluminum, monel, stainless steel and phosphor bronze wires, in both chisel and divergent points. Some items may require special manufacture � please make inquiry. 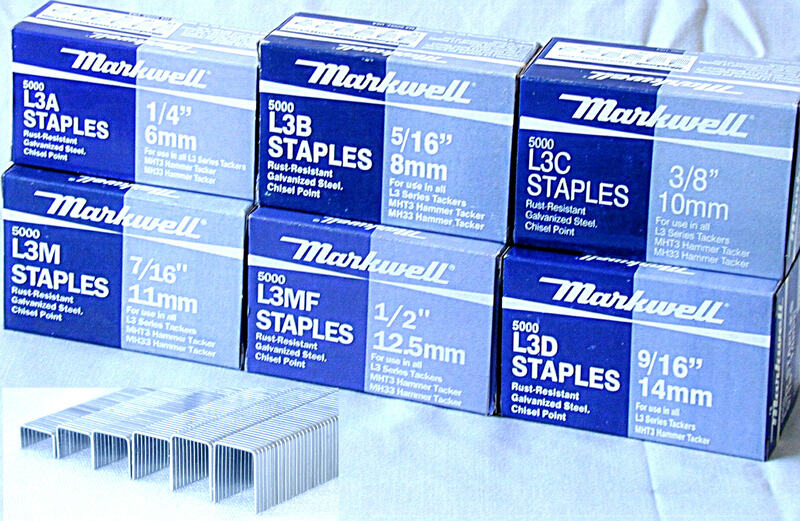 L3A-1/4" (6 mm): For tacking thin materials; ideal for tags and signs. Available in bulk 5M or Quinpack (5 x 1M) packs. L3C-3/8" (9.5 mm): General purpose use; roofing and insulating, picture canvas on frames, upholstery. L3M-7/16" (11 mm): Many special uses in production, shipping, display. L3MF-1/2" (12.5 mm): For better holding, used in outward-clinch/insulation applications. Available in bulk 5M or Quinpack (5 x 1M) packs. L3D-9/16" (14 mm): Used particularly in outward-clinch/insulation applications.